We've included these beaches for you: Fornillo and Otium Spa Costa d'Amalfi. Shop till you drop at Sol’Art Ceramiche and Ceramiche d'Arte Carmela. Explore Positano's surroundings by going to Amalfi (Antichi Sapori d'Amalfi & Duomo di Sant'Andrea) and Ravello (Villa Cimbrone Gardens, Cappella Sant'Angelo all'Ospedale, & more). 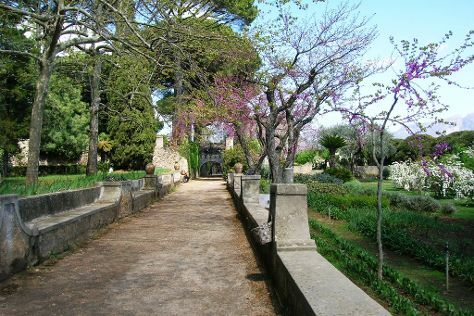 There's more to do: go for a walk through Sentiero degli dei (Path of the Gods). To see photos, traveler tips, where to stay, and other tourist information, you can read our Positano trip planning site . If you are flying in from Australia, the closest major airport is Naples International Airport. In April, daily temperatures in Positano can reach 22°C, while at night they dip to 15°C. Finish your sightseeing early on the 18th (Thu) so you can travel back home.